Modern armed forces are equipped with systems capable of disabling enemy equipment and weaponry by attacking their electronics, and Russia’s military is no exception. In the conditions of modern warfare, weapons on the battlefield decide a lot, but not everything. If, in the past, victory was ensured by rapid-fire rifles or cannons, now armies are equipped with systems that can incapacitate any, even the most powerful weapon, not even allowing the enemy to use it. Electronic warfare (EW) systems are not at all inferior to direct impact weapons in terms of efficiency, but unlike cannons and missiles, they destroy not the enemy's manpower and equipment, but its "nervous system" – systems of control, guidance and surveillance. Such a strike can at once deprive it of all opportunities to fight – disabling electronics, shutting down electrical wires, blinding radars, and immobilizing combat aircraft and warships. As a result, modern armed conflicts have taken on a new feature – they unfold not only on land, in the air and over water, but also in radio space. Russia is now one of the world leaders in the development and application of EW, even though 20 years ago it was seriously lagging behind other countries in this area. 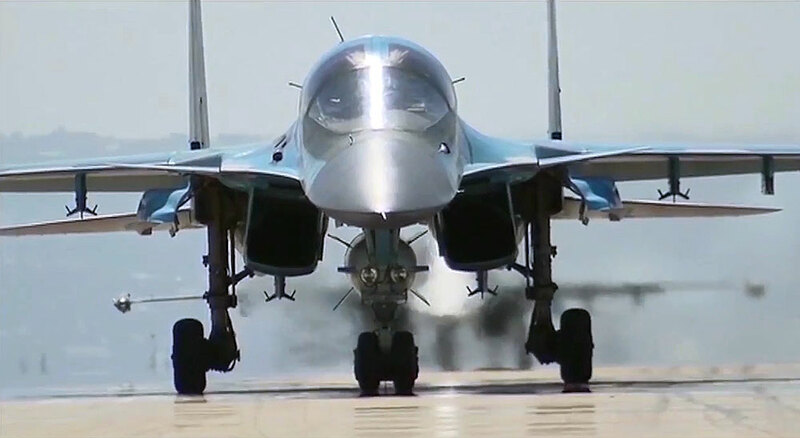 According to experts, Russian EW systems installed on air carriers are comparable to American ones, while the ground-based EW stations used in the Russian army can claim the title of the world's best. The Khibiny electronic countermeasures system is installed on all Russian military aircraft. Visually, it consists of several containers with electronics, which are attached to the wings. However, these containers immediately convert the aircraft into a formidable combat unit. Khibiny reflects an interrogation signal aimed at the aircraft by a radar from the ground or from another aircraft, and completely distorts it. The consequences of this operation may be most serious for the radiation source, from distortion of a signal to the complete blocking of work. EW ground-based stations are represented by several samples. The most interesting of them is the Krasuha-4 EW system. First put into service in 2012, Krasukha allows almost every radio signal within a radius of 200 miles to be blocked. It is able to suppress the activity of AWACS aircraft, unmanned aerial vehicles and even spy satellites, as well as to jam almost any enemy EW systems. Since October 2015, the system has been located on Russia's Khmeymim airbase in Syria. Probably the first time that Russian troops used electronic warfare was at the beginning of the 20th century. In 1904, Russian radio operators started jamming Japanese stations, which were directing artillery fire onto Port Arthur in Manchuria during the Russo-Japanese War. However, the very foundations of modern Russian EW systems were laid during World War II. It was then that decision was made to create a special unit that would be responsible for jamming German radio stations. The required equipment was located at a distance of around 13 miles from the frontline and was actively used for jamming and deception of the enemy. After the war, the units engaged in radio warfare were disbanded, but recreated five years later: The Korean War clearly demonstrated that they were of vital importance in modern warfare. In Vietnam, the U.S. air forces were countered not only by the local Communist forces, but also by Soviet radars, which seriously impeded their action. The transformation of Russia’s EW systems into an independent type of weapon and the deployment of their manufacturing base did not occur until the post-Soviet period. Initially, they were developed by enterprises producing air defense systems, such as Almaz-Antey. Since 2009, the industrial infrastructure of EW systems has been concentrated in the structure of the Radio-Electronic Technologies Concern (KRET). Its team has now been tasked with carrying out a complete overhaul of the Russian EW forces by 2020.